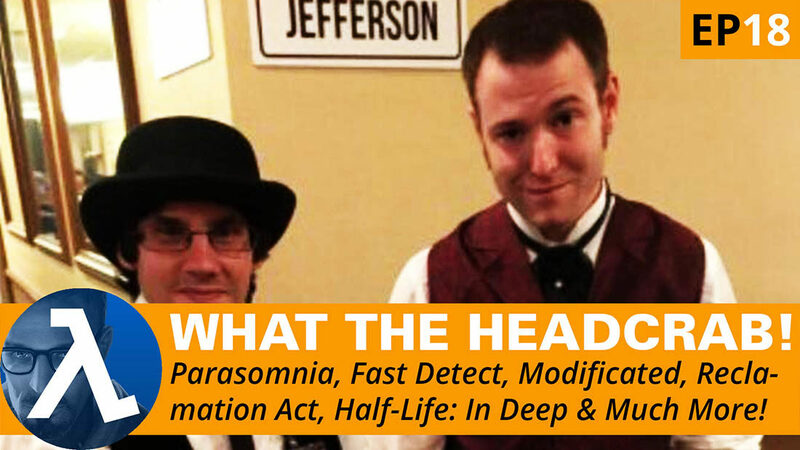 Due to time restrictions there is no Misc section, Half-Life Lore Trivia or YouTube channel spotlight – sorry. Follow up to What The Headcrab! Ep17. Most people got last week’s trivia question right, so well done everybody – we might have to start to make them MUCH harder. Plus general chit chat about the episodes and my pronunciation! Poll Question 354: Would you prefer a TC with a play time of 1 hour or a mod set in the HL universe with a play time of 2 hours? Black Mesa: Quaratine Coming Very Soon. Concrete Wonders – Real Theme Coming Very Soon. WTH Ep17’s winner of Brothers – A Tale of Two Sons was StrikeVonNice. This week’s game Bad Rats: The Rats’ Revenge, courtesy of Aaron from SteamContests.com. To have a chance to win, simply post a YouTube comment and I will randomly select a winner on next week’s show. Seems that plenty of people are working hard on their mods, which is great. Just wish we had more to play! All money received goes towards improving the site. Eventually, I hope to make running the site and creating content, including videos my part-time living. Marc Laidlaw once mentioned he had considered creating a son for Colonel Odessa Cubbage. What was his name? This is a really obscure one, since it came up once on Twitter years ago when I tweeted my comic at Marc Laidlaw. I’m fairly sure it’s on the Combine OverWiki and the Half-Life Wiki, but I doubt most people know it without going to look for it. Full disclosure: I was never sure if he was joking or not. WOW, that’s a super tough one. It does have the dubious advantage of coming from a Twitter conversation that doesn’t even exist anymore (since Marc Laidlaw deleted his original account), though I’m sure he would vouch for it if asked. But like I said, could even have been a joke by him. Mind you, the answer isn’t “Hercule Cubbage”, though it’s because of Hercule that I learned this bit of trivia way back when!